A truly breathtaking panoramic via ferrata amid Obergurgl's glacier world. 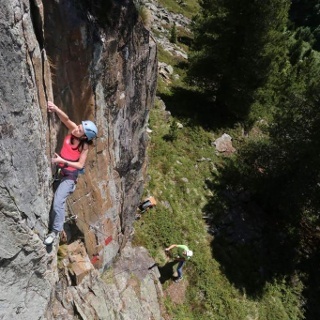 The route is not extremely difficult but quite demanding due to its high Alpine location and the north-facing walls. 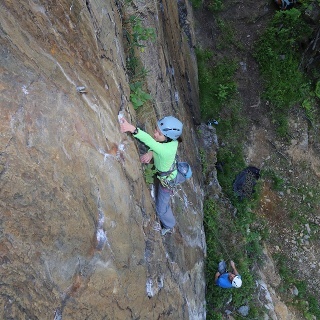 Previous via ferrata experience is absolutely required. There are enough footholds and also two emergency exits (marked) which allow shortcuts. 350 meters altitude gain (2410 - 2760 m), 700 m climbing trail length, approx. 3 hours; 4 hours incl. descent to Langtalereck Hütte. 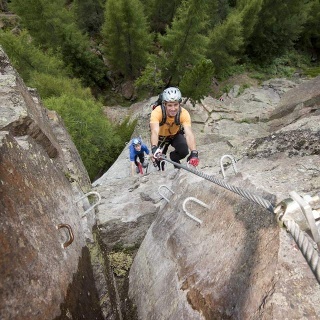 Equipment: helmet, harness and complete via ferrata climbing set, via ferrata gloves, appropriate climbing shoes, hiking poles for the descent (recommended). 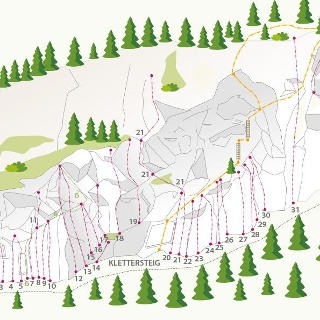 Starting with easy grade-A/B sections, the route becomes more difficult at the end (C/D). The eye-catching grass area after the first third of the via ferrata makes a perfect place for a rest stop. Here you can also leave the route via two emergency exits. From the exit area you reach Hochwilde Haus in about 40 minutes, Langtalereck Hütte in 60 minutes and Obergurgl in about 2.5 hours. From Obergurgl you walk towards Langtalereck Hütte (2.5 hrs), keeping to the trail (no. 35) in direction Hochwilde Haus. 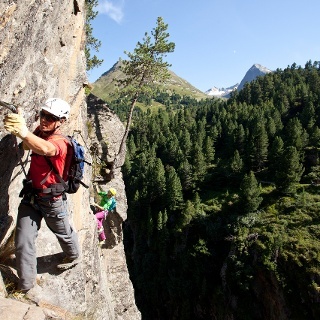 After 20 minutes you reach the via ferrata access point (follow signposts).